Can you believe it!! 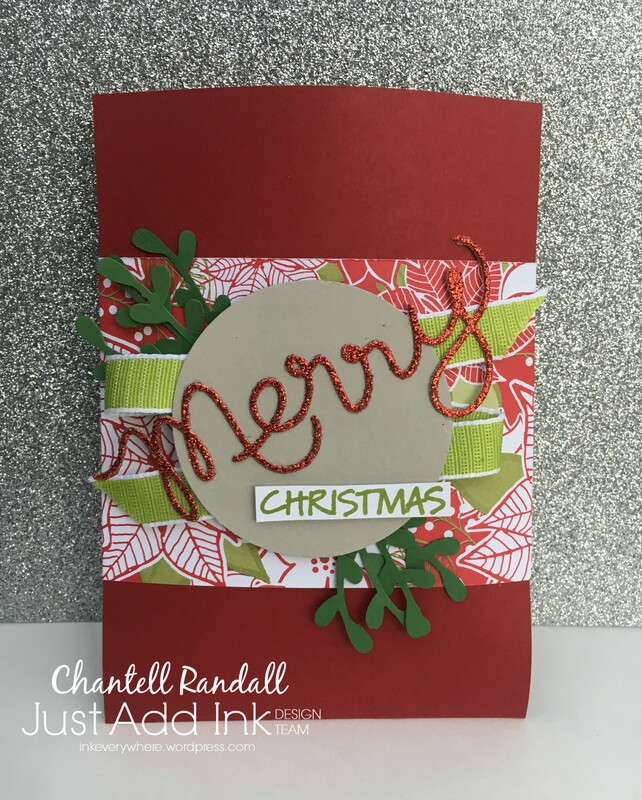 This is the last Just Add Ink Challenge for 2018! 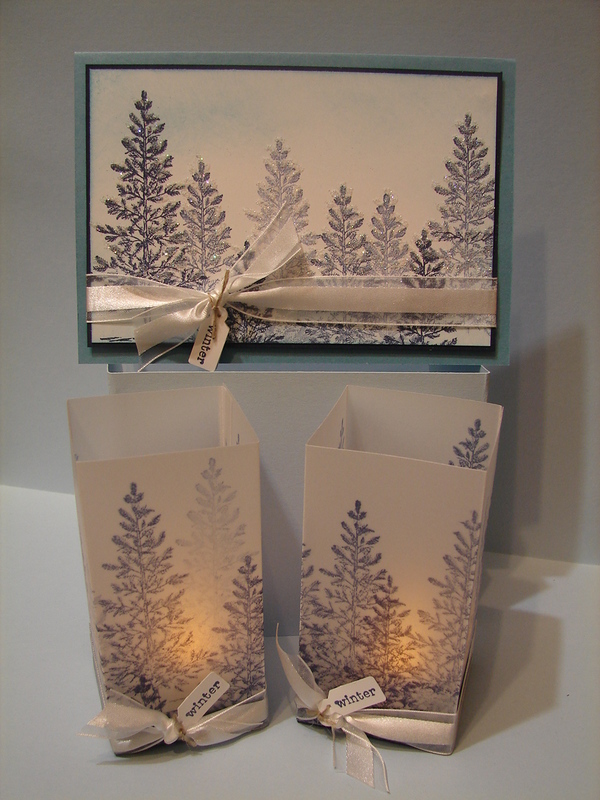 Just Add a Gift Box is so appropriate for this time of year – and a perfect one for me to participate in because I had a couple of little gifts that I wanted to pack up for some friends. Here is the first one………..
I’ve had this tree die for a couple of years now and not really used it much. For this Gift pouch the size of the die tree worked well. Below are a couple of the other pouches that I made. 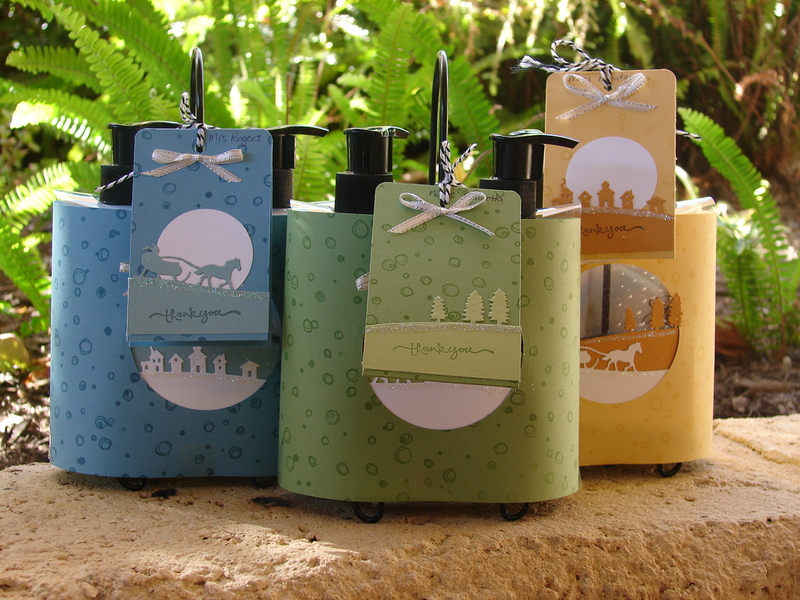 Inside are some little fabric folded shopping bags – which is something we all need to keep in our handbags these days. These pouches were quick and fun to make and a perfect way to dress up a little gift. This Just Add A Gift Box challenge runs for TWO WEEKS and closing on January 2nd. 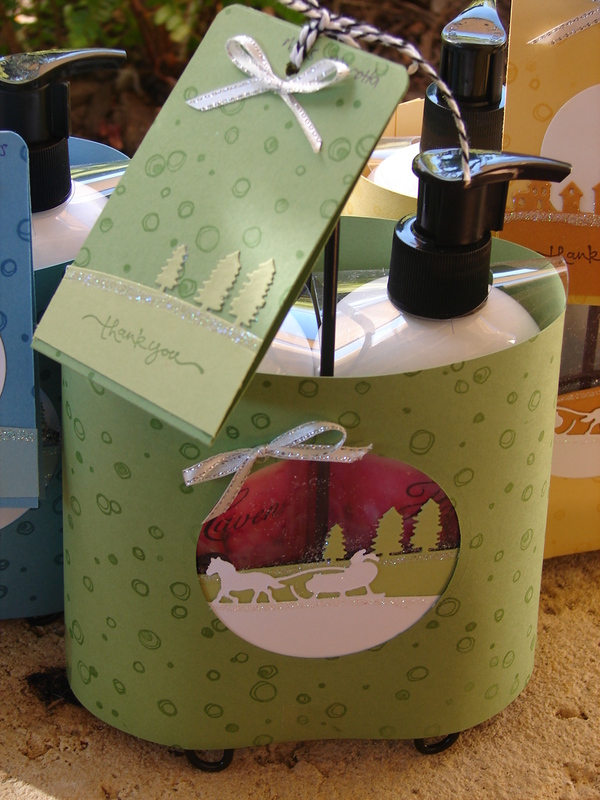 Go to Just Add Ink to enter or check out all the other gift box ideas. Just Add Ink Challenge # 429 – Vellum! 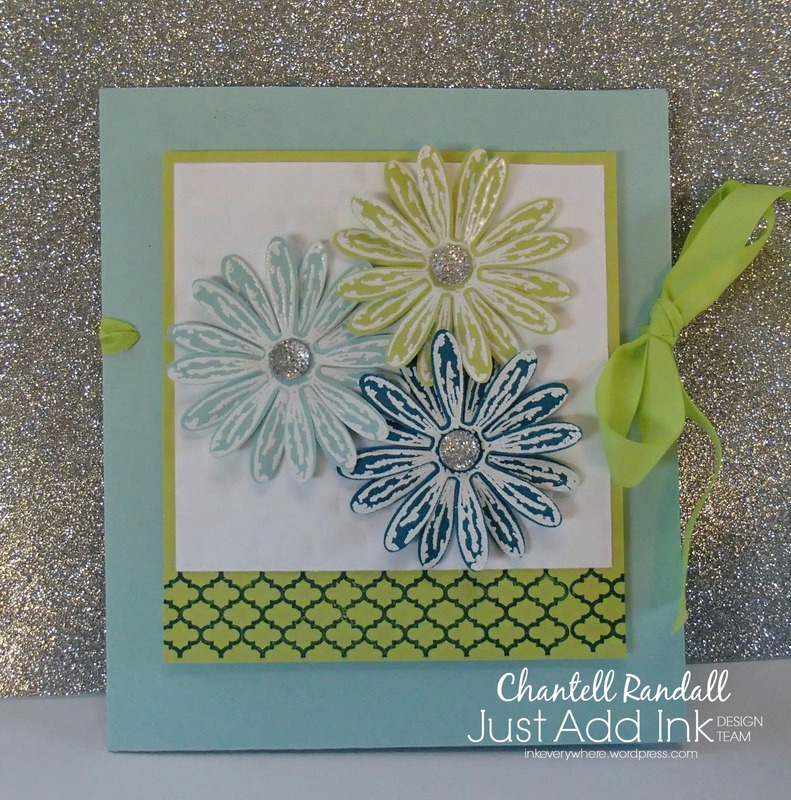 The Just Add Ink Challenge this week is all about adding Vellum. Vellum is a great addition to cards and 3D projects. 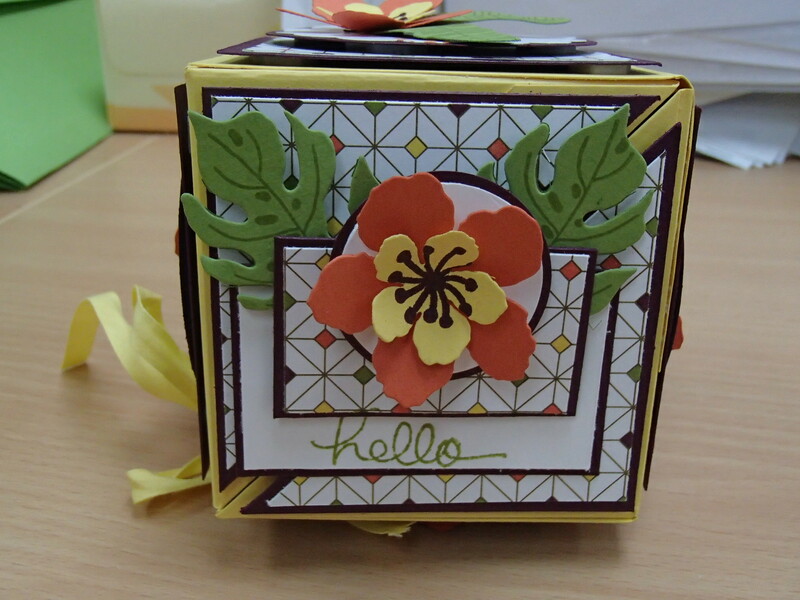 On my card today, I have die cut some leaves as an embellishment. My card is a CASE of a card from the current Stampin Up Annual Catalogue 2018-2019…..see page 9. And below…..see my take on the card. Die cutting shapes with Vellum is a fun way to add it to your projects. Looking back – I have used Vellum in my Just Add Ink Challenges for some time. Below is the card I made in Just Add Ink Challenge # 2! I used the Vellum to make some flower petals….. The challenge was to Just Add Hearts – so my idea was to have flower petals look like they were flying off and making Heart shapes. 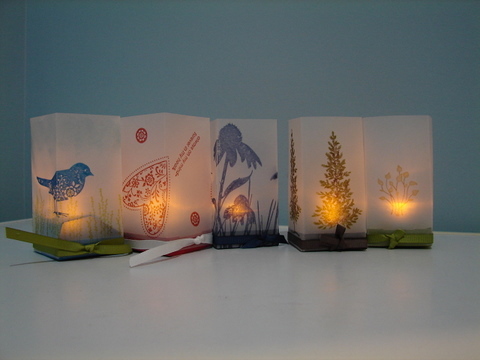 And below are a couple more examples of using Vellum…… Velum flowers and Butterflies. 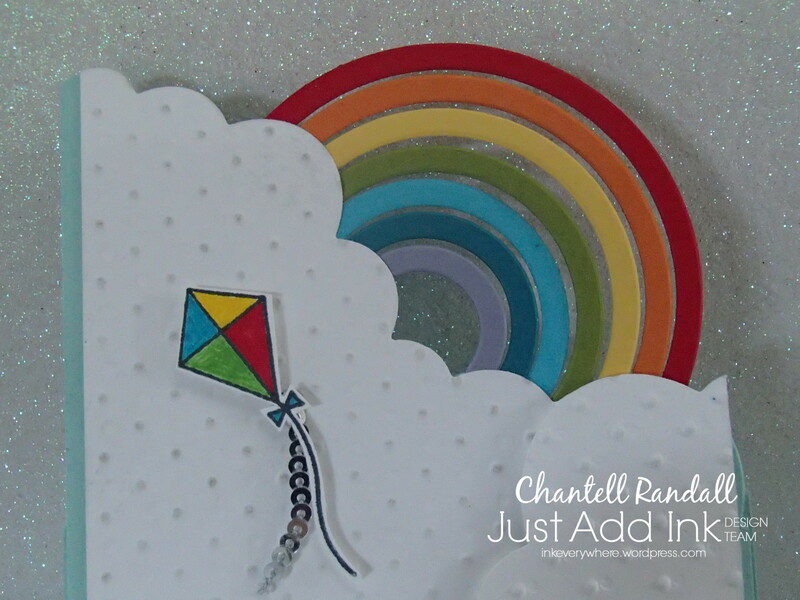 Here’s a Colour Combo for you from Just Add Ink. Challenge # 377. Great colours – kinda beachy I thought? As you probably know, I love blue and blue features in my cards quite often – so I was quite keen on this colour combo. 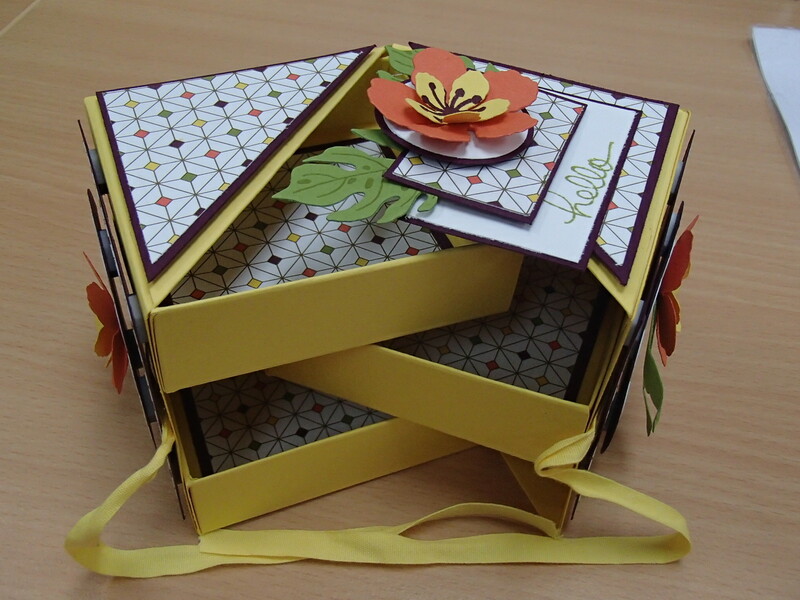 I made a card wallet with lovely large colourful daisies on the outside. Think this will work well for a Teachers gift. I white embossed the flowers and used some Clear faceted gems in the centre of each flower to add a bit of bling. Inside are some matching cards and envelopes (which I have not photographed yet). I think this will make a nice little gift. To check out heaps of other projects using these colours, go to Just Add Ink as see what the Design Team have been up too. And then join in with this challenge too! We have a Sketch Challenge this week at Just Add Ink. The sketch was put together by Tina. Here it is…. Often, when I am creating things for Just Add Ink Challenges, I am also making them for other things too…….friends birthdays, challenges that I am doing with my sister or as projects for card classes. So this week I was thinking….how can I incorporate this Challenge and something else at the same time……. 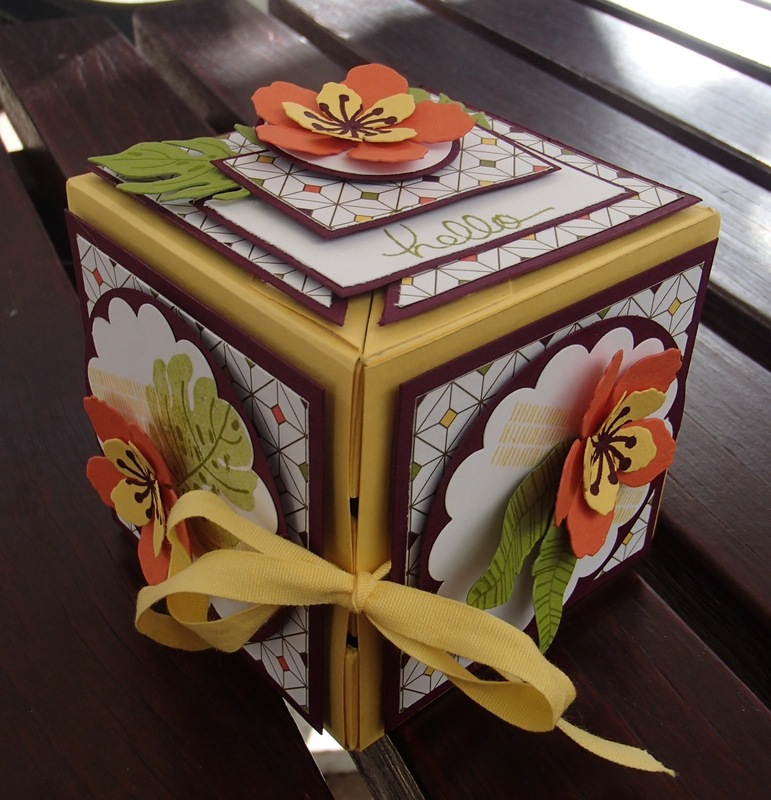 Then last weekend I went out for a night of crafting with friends, where we all made a few boxes…..and this really inspired me to come up with this project…….which will also be used for a class project. I used the sketch on the top of the box. An inside……it’s a Secret box! Cool huh? And fun to make too. The Just Add Ink Design Team have put together some lovely projects this week……so go and check them out. And then join us for this Challenge. 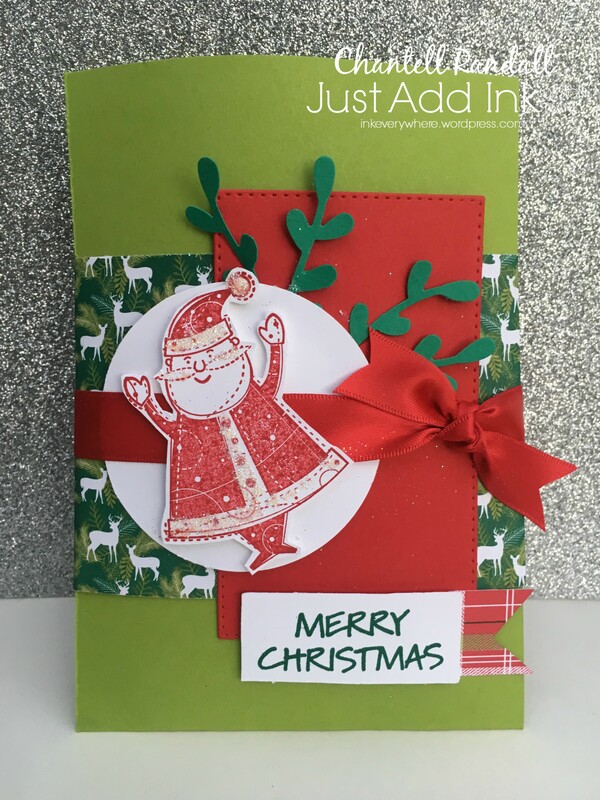 Well – it’ s the end of the year – and this is the last Just Add Ink Challenge for 2015. All the end of year activities have been keeping me very busy over the last few weeks. Dancing Concerts, School Concerts, Class parties and reward excursions, Work parties and lunches plus catch ups with friends. And Christmas is very very close too………..are you counting down the sleeps? Kim has suggested this challenge – Just Add….A Gift Card Holder. For my project I put together some small Gifts for Sarah’s Teachers and added Gift Cards to them also. Due to the holidays, this challenge will last for TWO WEEKS and there will be no judging by the Design Team. Thank you for visiting my Blog this year, I hope you all have a great Christmas and holiday break. 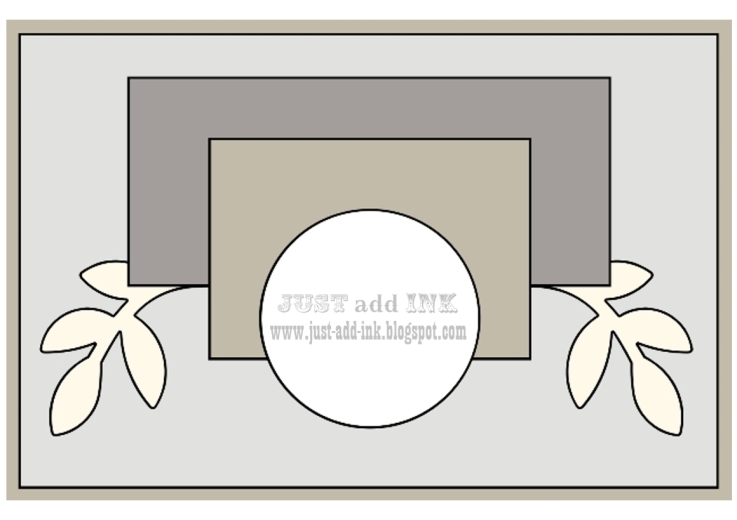 Remember to visit Just Add Ink to share your Gift Card project. 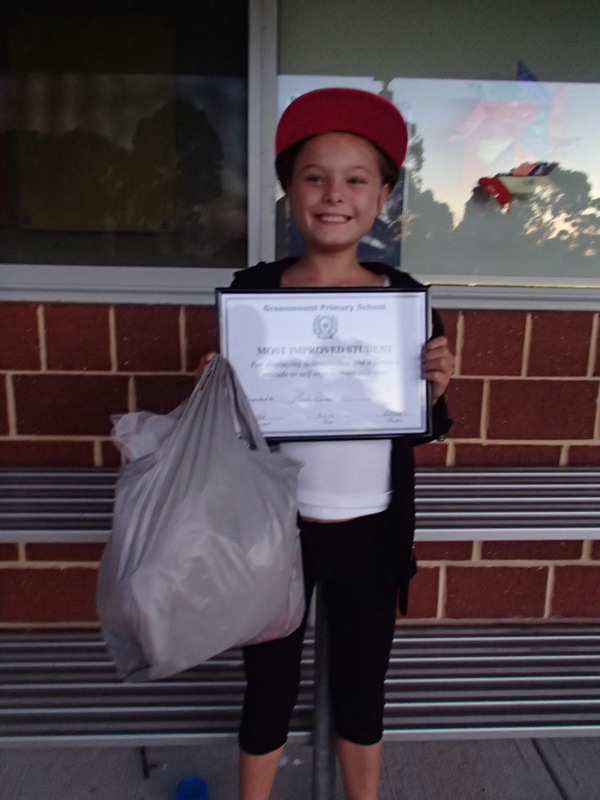 Oh and……..2 other things I wanted to share before the holidays…………………..
1 – Very very proud of Sarah for winning an award at School this year. The most improved student. So happy for her. She works really hard and is always enthusiastic. 2 – I have a sore toe! Just remember that Big Shot Magnetic Platforms are great for Holding Framelits and Edgelits in place while cutting…………..But not great for dropping on toes. Ouch! 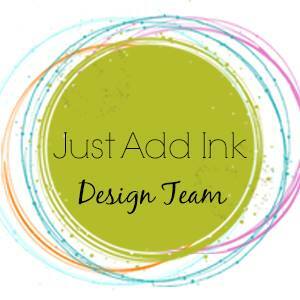 Yay – it’s the start of a new Just Add Ink Challenge and I think this might just be a popular one. It is Just Add Glimmer! So get out your Glimmer paper, glitter and rhinestones and get your Glimmer on! I used Sparkle Medium to decorate this little gift back and card. I was wrapped with how it turned out. Go to Just Add Ink to view more Design Team Glimmer projects and also to share your project with us.